Fredericton, New Brunswick – Every September, RCMP members from across Canada gather in Regina, Saskatchewan, for a national memorial to honour fellow members who have lost their lives in the line of duty. This September 8, Constable Leo Tyler Francis will be honoured, and his name will be unveiled on the Cenotaph at RCMP Depot division. The 32-year-old, nine-year RCMP veteran died on July 5, 1996, from injuries he sustained in a motor vehicle accident while he was representing the RCMP at a Pioneer Days event in Oromocto, N.B. Constable Leo Tyler Francis was more than just an RCMP officer. Francis was a hero to his two children, Sarah and Ryan, a loving husband to his wife, Carolyn, a proud son to Leo and Dora, a supportive brother and a dedicated Wolastoqewi man to his community, Neqotkuk. 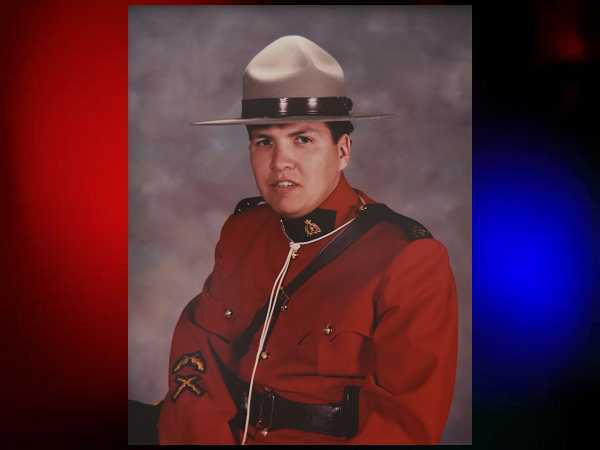 Graduating from RCMP Depot in 1987, Francis made the most of his nine-year career as an RCMP officer, where he was well liked and respected by his superiors and colleagues. Francis was best known for his big smile, contagious laughter and his amazing ability to turn strangers into family within minutes. During his career, Francis was awarded two prestigious medals – the Commissioner’s Commendation for bravery, courage, presence of mind and professionalism, when he saved three children from a runaway boat, and the second received for contributions he made to improving community relations.